I will keep an updated list of my favorite things from gear, to reference materials, restaurants and more. Check back often for updates! 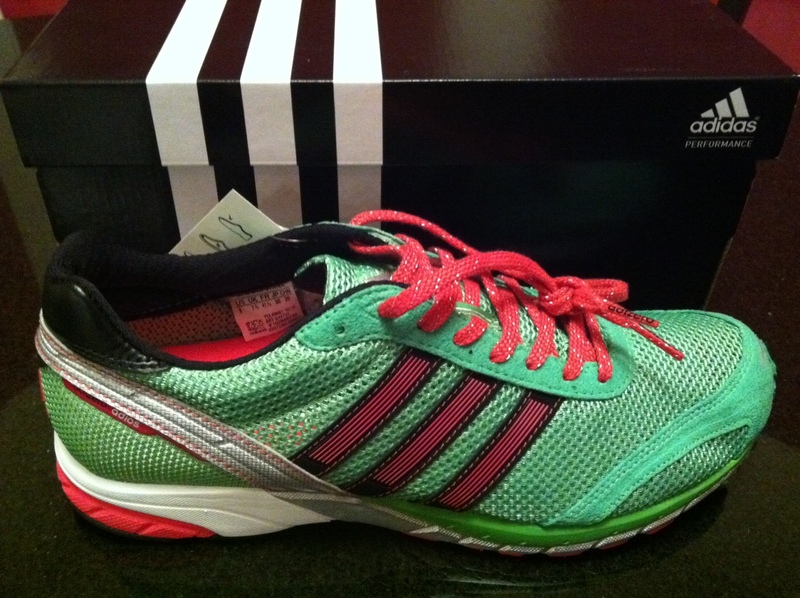 adidas changed the adios version quite a bit in 2012. The first version was my favorite all-purpose fast shoe. I would wear it for every race distance and use it in training anytime I’m not doing easy miles. 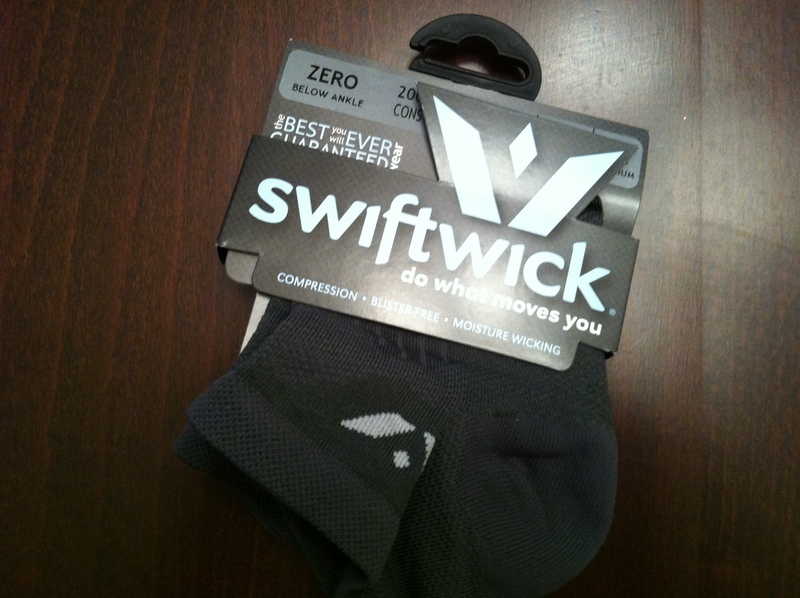 Version 1 is super light, yet has more to the sole that most lightweight racing shoes so it doesn’t feel paper-thin. 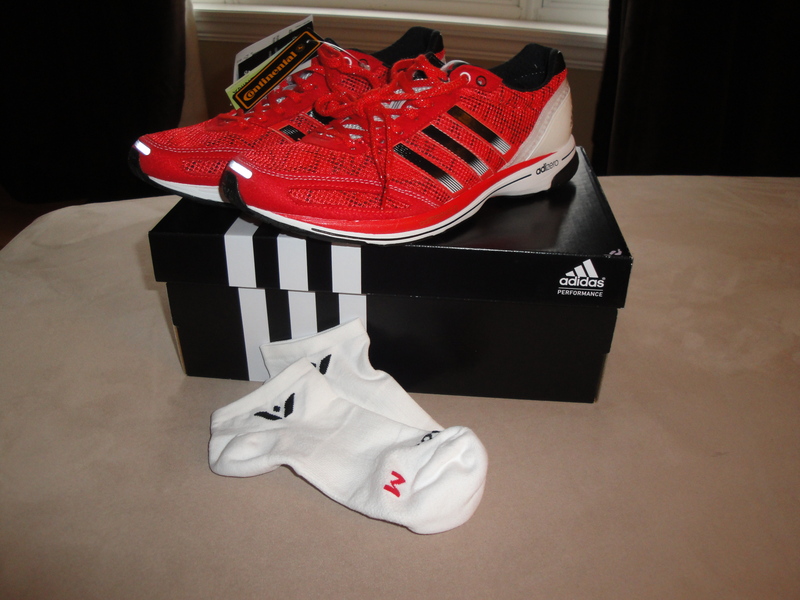 If you can handle a neutral, little support shoe, you may want to check these out. 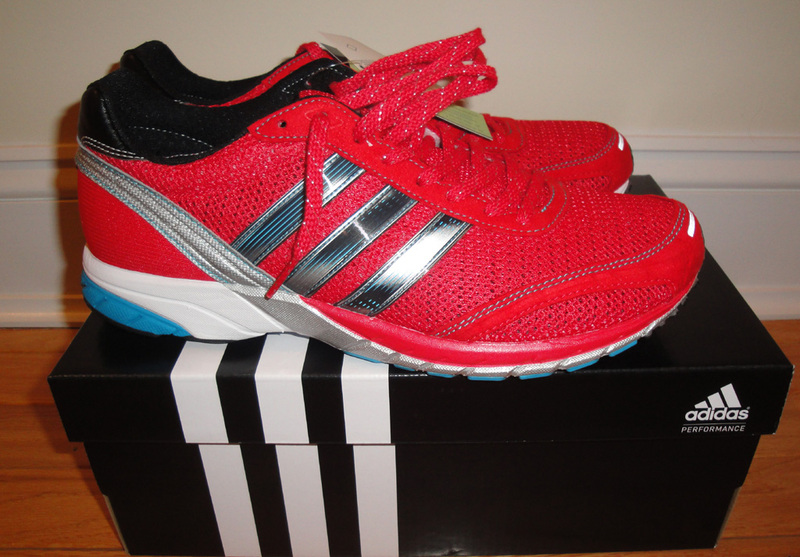 Version 2 is slightly more substantial and feels more like a trainer than a racing shoe. The shoe laces still have a rough texture to them, so they stay tied better than other shoes I’ve had. I also love that this shoe actually has a good tread on the sole, although it’s changed between versions, both have worked very well. I’ve had other light shoes from Nike in the past that have lacked in the tread department, which becomes very necessary if the race has wet roads or sections of grass/dirt. 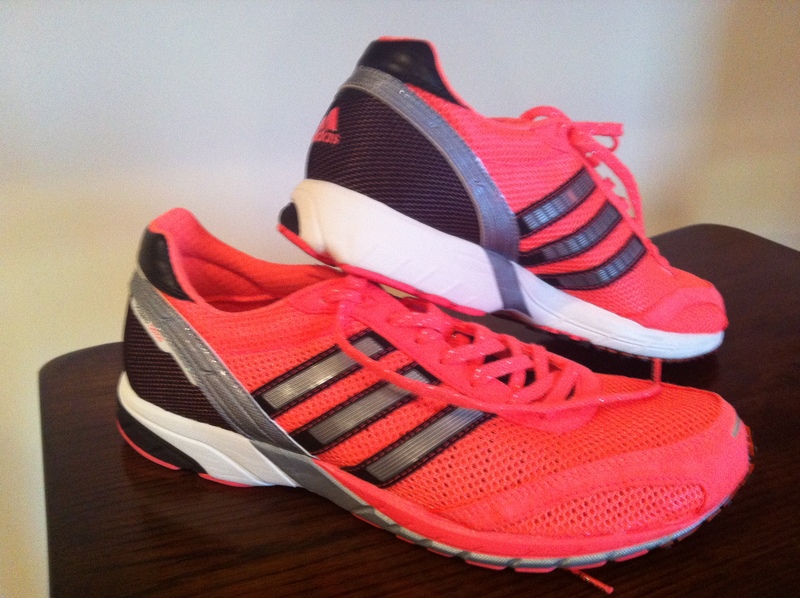 adidas colors are always great in my book and the that trend seems to have continued. I’ve tried many brands of socks and this brand has my attention. They have the perfect amount of compression hugging fit, without the bulk. They are thin enough, yet well constructed to stand up to long distance training. I have them in full calf length (called 12) and the zero ankle length. I love both styles! I will have to get a picture posted. Rob and I both have the water proof version of the spibelt. Waterproof doesn’t mean go swimming with it, but it helps repel water from rain or when running a race and spilling cups of water on yourself. This belt is amazing, I can carry four/five gels and a car key and notice no bounce when running. I’ve used it to carry my phone on an easy run and do notice then, but not enough that it disturbs my run. When carrying a car key we still put it in a ziploc baggy to ensure the key stays dry. Their gluten-free and interchangeable fueling products have been the only thing to work for me consistently. If you want to try them out, you can save 15% off your first purchase using this link to the referral code. Oh where do I start with talking about this lovely invention. I don’t care if there are other tablets with more space, better performance, or what have you. 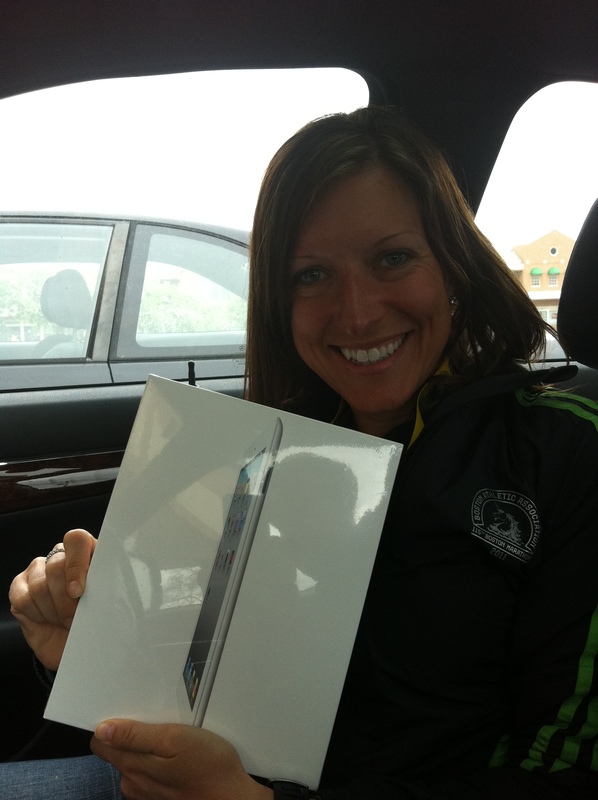 For me, there is nothing more comforting than an apple product. I love the simplicity, the apps, all of it. I carry this thing with me everywhere. First off, reading WordPress blogs on the iPad is so nice. I love the magazine like format. I’m also in love the the app Flipboard that allows you to put your favorite news feeds, facebook, twitter, google reader and more all in one book format. I’m finally getting better at reading and keeping up with blogs. 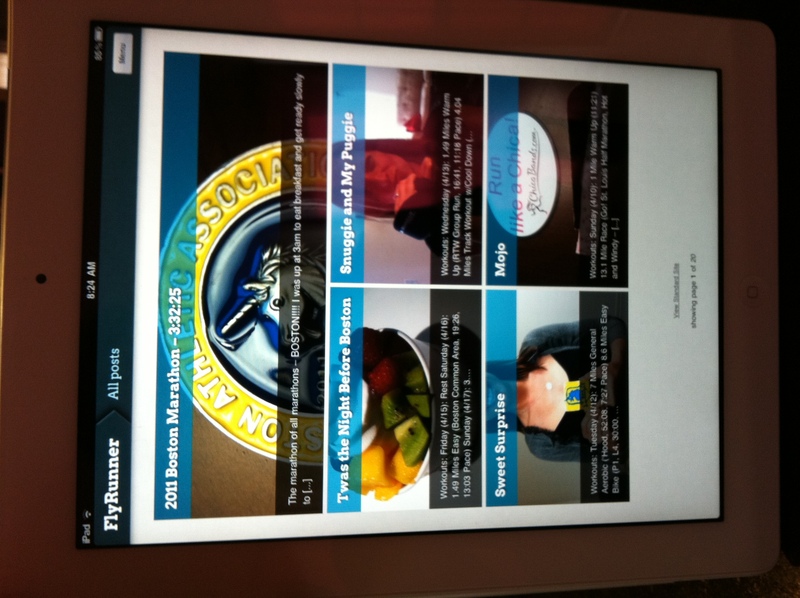 I also love iBooks and am currently reading Kara Goucher’s “Running for Women” and Dean Karnazes “Run!”. Swoon! 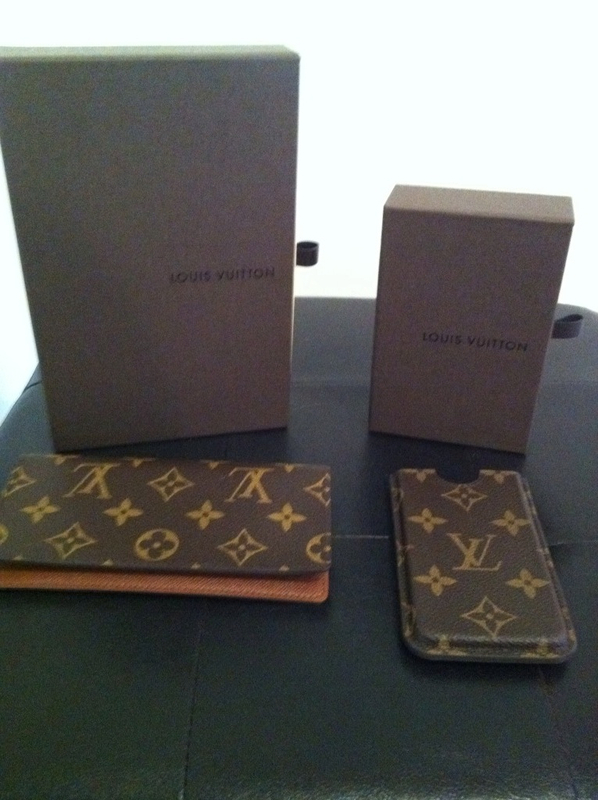 It all starts with that first LV, let the addiction begin! The quality and timelessness is what draws me in. I love that they really are forever purses, something I will cherish for decades to come. 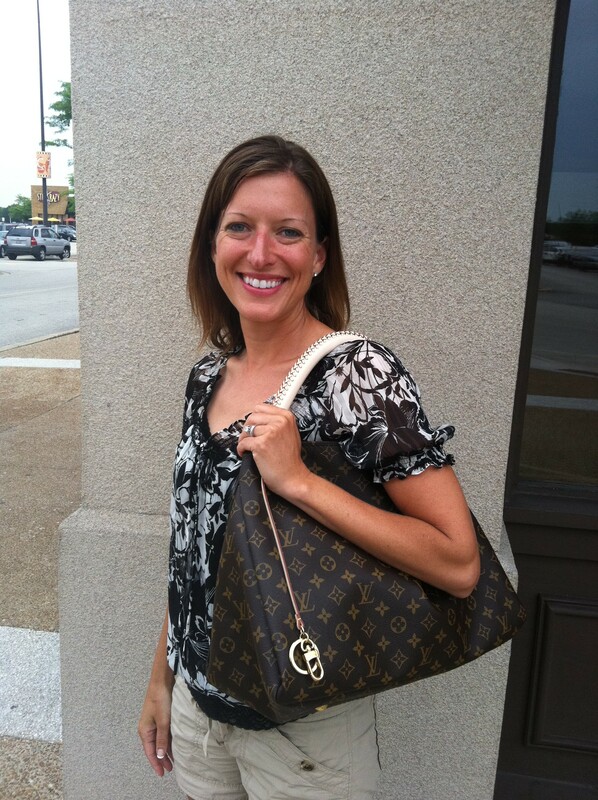 My first Louis, Etoile City GM (October 2009). I love the quilted look, large buckle on the front and the super soft lining inside. Etoile is French for “star” which is where the quilted stiching intersects with the star pattern. Ugh! 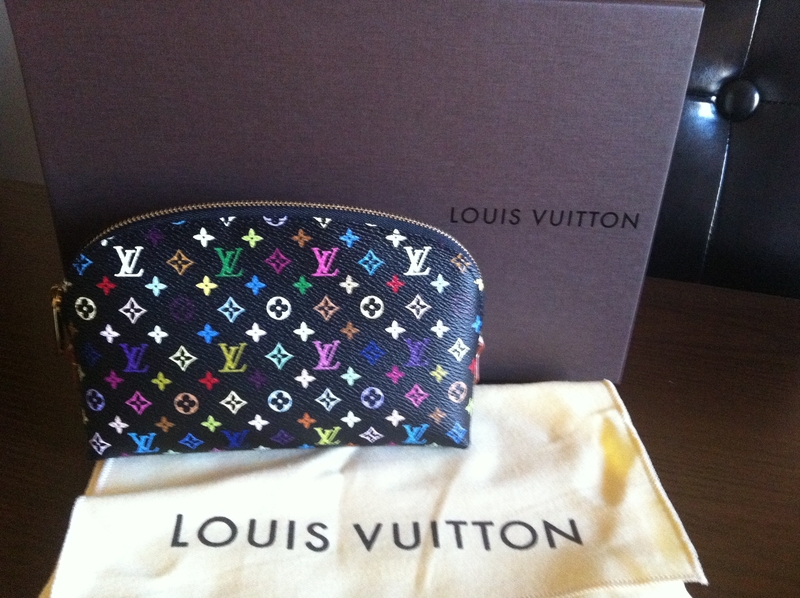 Utter delight to have the wallet to match my Monogram Etoile City PM purse (December 2009)! My sweet Tivoli (named after a city in Italy) is a perfect top handle bag (December 2009). I love that then handles are large enough that I can put this purse on my shoulder if needed. The opening is large and I love the pin tuck of the canvas and zipper charm. Rob knocked it out of the park with this Valentine’s Day gift (February 2009). I was totally surprised and found out how much I need a coin purse when we travel. There is always a need for change at tolls, meters, vending machines, and best of all, Salvation Army kettles during the Christmas season. 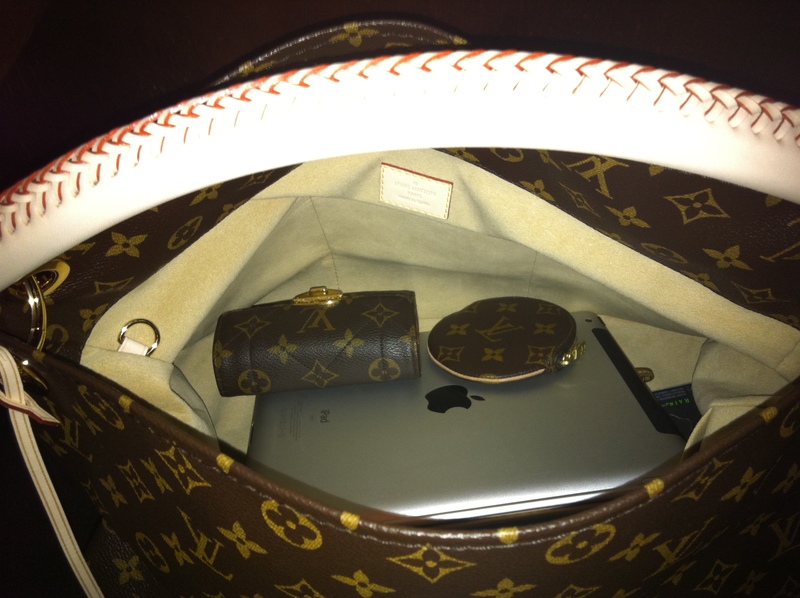 I love this bag (June 2011)!! 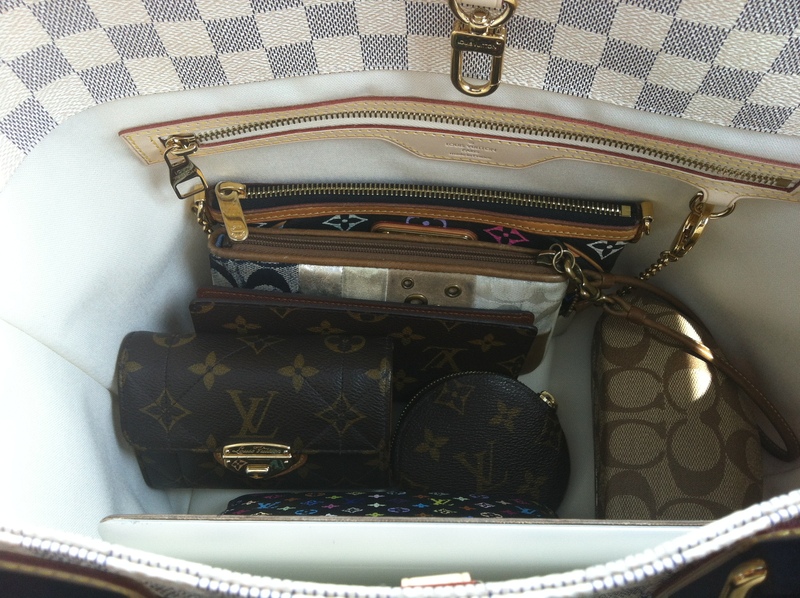 I know that I say that about every LV, but I do love them all so much. They have their unique features that make them stand apart. For instance, Artsy has this most amazing handle that is a thick braid. 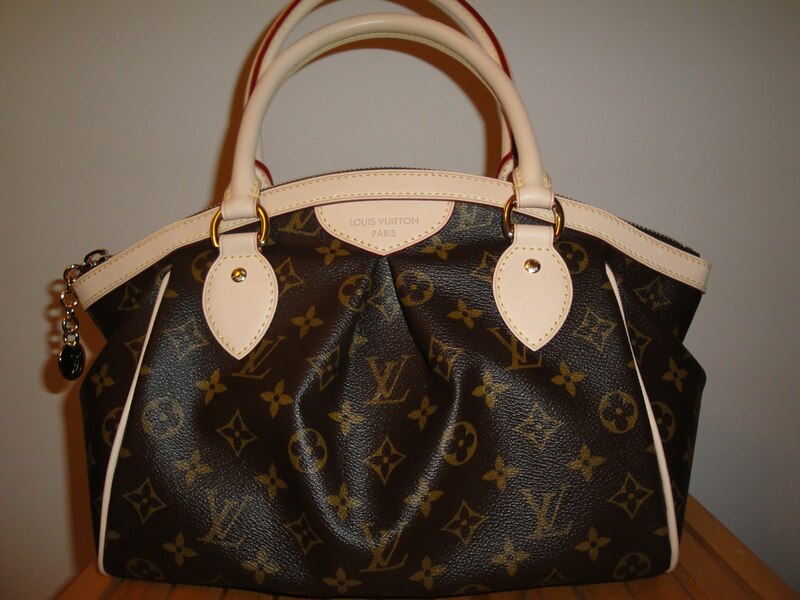 Plus it has the soft lining with seven total pockets, which is unheard of in most LVs! Plus it has the cutest attached key ring/charm of a ring and d-ring that could be used to attach keys and other small bag, but it’s too cute to use like that so I keep it out as a charm instead. I love how large this bag is and it’s been referred to as luggage, but they do make an even bigger size! It’s so large that I regularly misplace items, even the pockets are so deep. I love that I can easily carry my iPad, everything I need and have space to add items like magazines or items I purchase. I love to take this bag on our shopping trips and for travel. I was in Las Vegas for work (July 2011) and had to stop by LV and see what caught my eye. This purse was perfect! It is the black multicolor and I love the brass detailing and the soft lining. Plus the brass chain strap that can unhook and hook to a d-ring in another purse and become a wallet! This is definitely a multi-functional purse that is perfectly sized for going out. Most things are electronic payments these days, but I still find it necessary to keep a checkbook still, especially for smaller race registrations have onilne registrations. So now my checkbook cover (August 2011) looks nice with my purse! 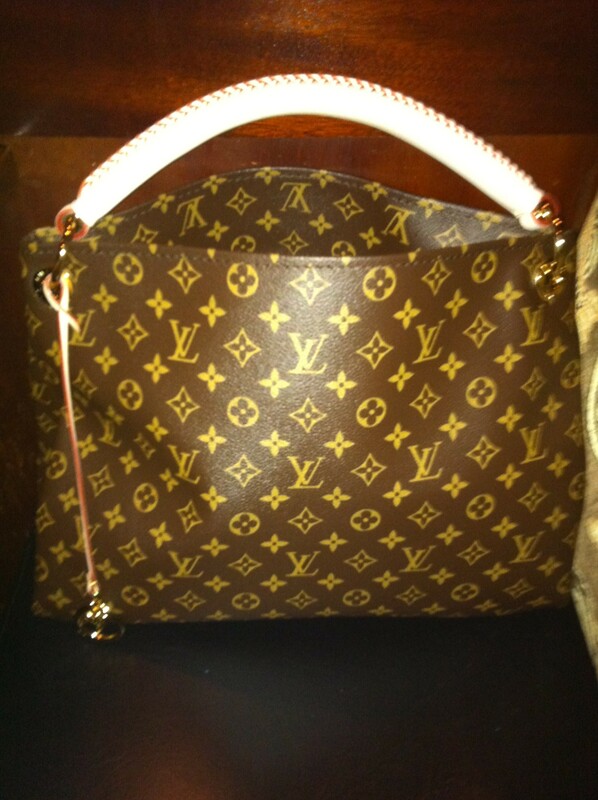 Thanks again to my hubby’s great taste he gave me this as a birthday gift. My only wish would be for a pen older, but I understand that it is likely not there because the potential of a broken pen in an LV would be heartbreaking. I need to find a nice pen and case sometime soon. I also find myself using this checkbook case to hold my stamps, receipts and bills. OMG swoon!!! My first Speedy and it’s ridiculous (September 2011)! 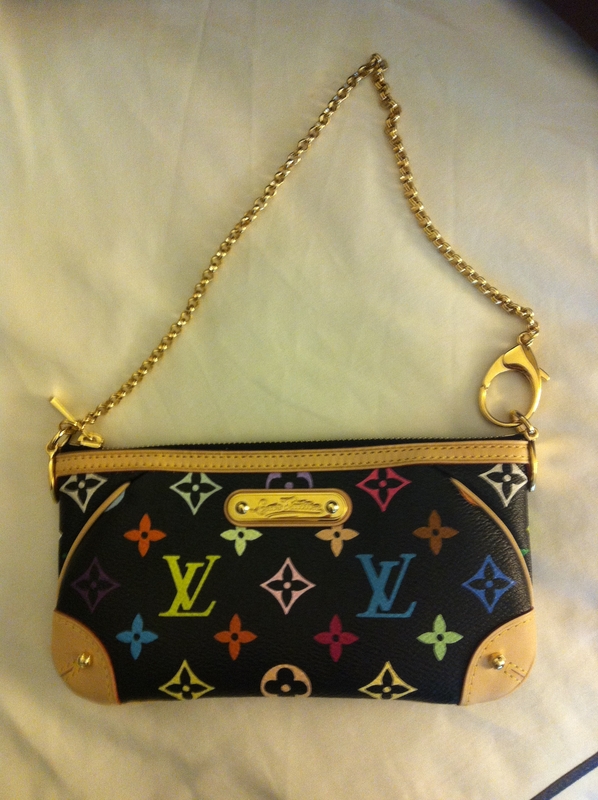 I love the black print multicolor because it makes the vibrant color LVs pop and it’s a bag I would carry year round. I love the brass bracket corners, they keep the purse shape from sagging and help protect the bottom canvas. 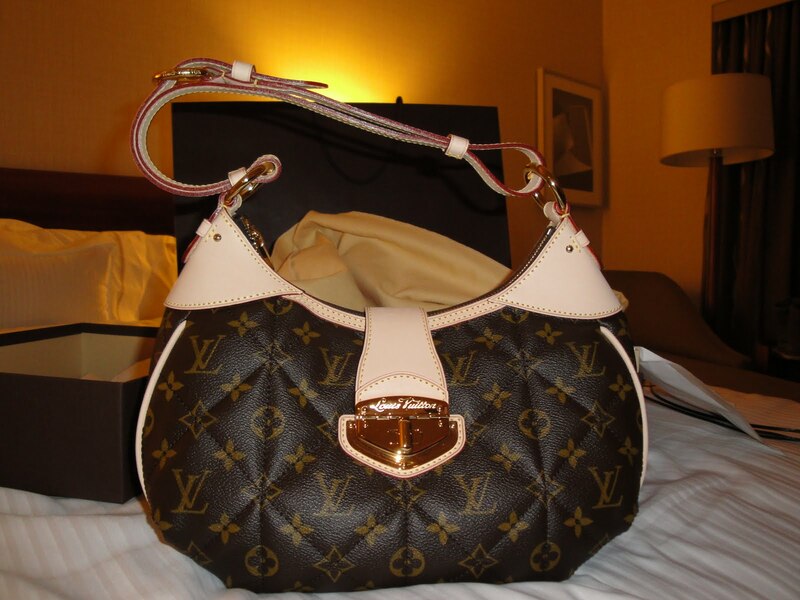 I also love the soft lining, lock on the zipper is a large clasp, and the key cover that I had personalized. I have never had personalization done before and I like that on the key cover its subtle and only shows when the cover flips over. I love the front locking pocket, but unfortunately it’s not long enough to close over my iPhone. I haven’t really used it as an actual pocket for that reason. That would be my only wish for this purse is having the pocket fit the size of today’s smartphones, but perhaps technology will change in time enough to make this pocket usable someday in the future. This sweet cosmetic pouch (December 2011) matches my Speedy 30 Mulitcolor and has the cherry color lining, so cute! 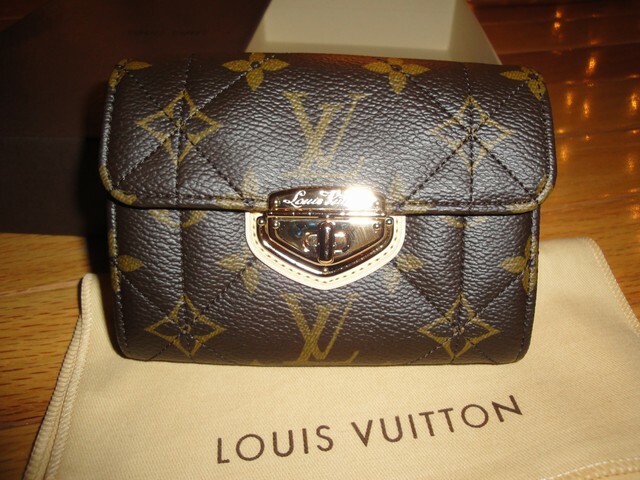 This is a limited edition purse, as it is from a collection series. 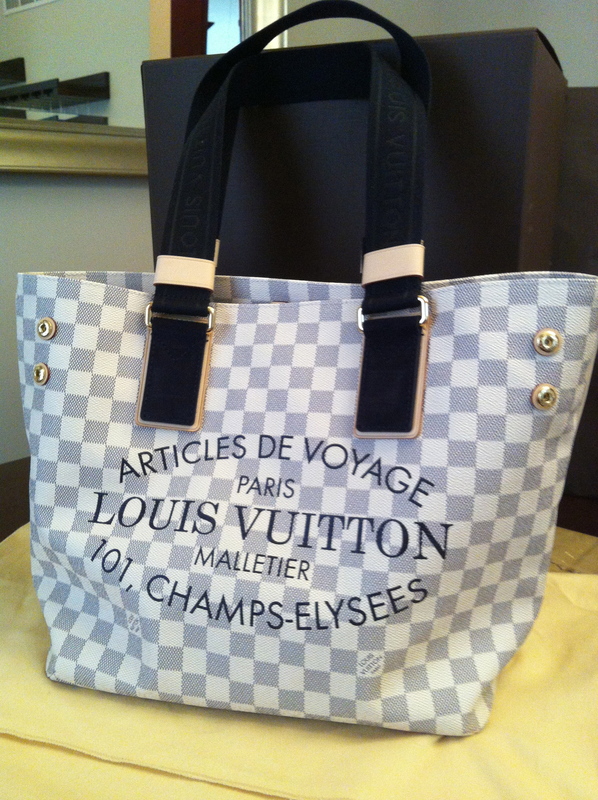 If you are looking at this purse and wondering about sizing, this PM is almost exact sizing to a Neverfull MM. We stood both of them up side by side in the store. I love that the straps are thicker and fabric, they should wear well and not dig into my shoulder if I did have this purse completely filled. I love that the outside canvas print also goes into the inside. Good luck at Boston. I am rooting for you so LOUD:) An update, we moved to Summerville, SC in March so now I am East Coast–warm most of the year (aka run year round – I hope). 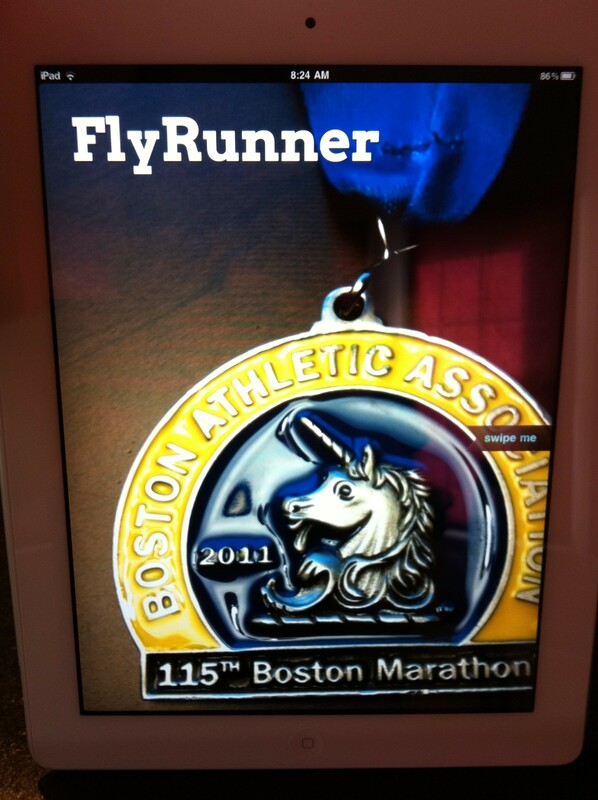 Working on building back up my mileage for a half this fall. Cannot wait to see how you do. Hey Celeste!! So great to hear from you! Sounds more beautiful than IL! Good luck with your training! !